8 Types Of Heels Every Lady Should Have In Her Wardrobe!! One thing that is common between girls of all age is their love for heels.It can be teenage girl or a young lady in her mid twenties or a mature woman, they all love to be the boss in their heels. No outfit can be completed without beautiful pair of high heels. Most of the ladies are obsessed with heels and they love the boost of confidence they get with the little more height that heels provide. Wearing heels has many benefits. Not only they look feminine and attractive, they also catch attention and are symbol of power. Women love to wear heels no matter what place they are going. It can be office, parties, casual outings or something as basic as grocery shopping, women just like to create a statement in their heels. Before you go all crazy and go out for buying some heels, you should know about the different types of heels that are available in the market. Pumps are the heels which are shorter than stilettos and their height ranges from 2 to 4 inch. They are more comparatively more comfortable than stilettos and can be worn anywhere. They help in giving the height that you love without being extremely painful. Stilettos are the ultimate heels desired by ladies but worn by only few. Their height ranges from 6 to 8 inches. While they can be extremely scary to wear and have chances of tripping and breaking ankle, they look extremely attractive and will definitely help you to turn heads of many people. Wedges are the miracle that you always crave. They are the safest , less scary and less painful alternative of stilettos and pumps. They give you the height you need without pinching your feet or being uncomfortable. Block heels are also a safer answer to your love for heels. Block heels are thicker and not so high as stilettos. The block heels are extremely comfortable and can be worn in offices, events, parties, etc. Kitten heels are smallest heels of all. They don't have much height but are comfortable and can be worn all day long without being uncomfortable. Ankle strap heels are just like regular heels but they have a strap that is tied around ankles. The straps ensure that heel stays in place and does not feel uncomfortable. Peep toes are the heels that are opened near toes. 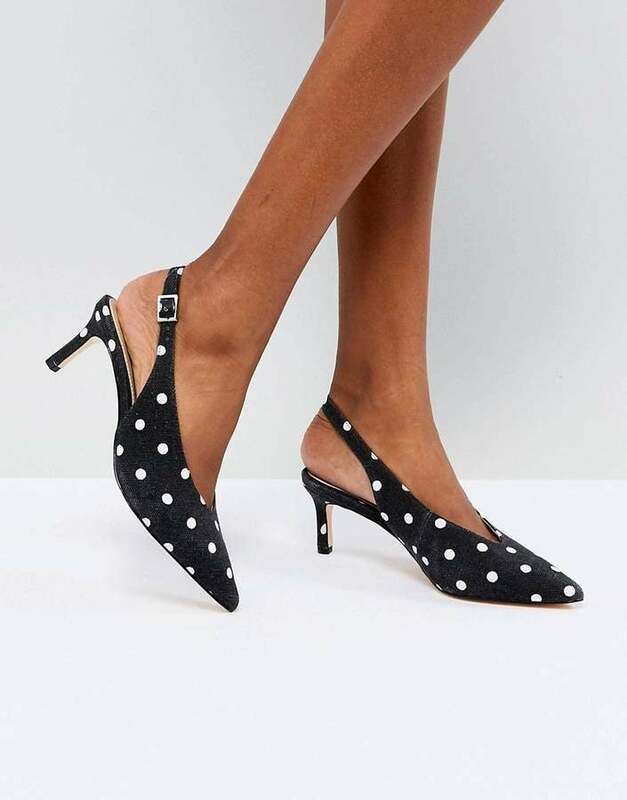 They are regular pair of heels which are just opened around toes and look cute.They come in different heights and can be worn with any kind of outfit. Platform heels are the ultimate combination of height and comfort. They are kind of heels that have high soles to match with the heels. They are comfortable due to the high soles and reduces the difference between heels and soles.